I was so excited when Krista and Ryan contacted me about photographing their growing family for a maternity and newborn session. They were expecting a little boy to round out their family. He has been born and will be turning 2 years old this summer! The first photo of Krista and Ryan that I am sharing is one of my favorite maternity photos I have taken. Being in front of the camera can feel uncomfortable. I will often tell my couples to snuggle with each other. Sometimes it feels really awkward to cuddle, in a random forest, while a photographer is snapping photos. But Krista and Ryan leaned in together and it was just perfect. I use this photo in a lot of my marketing now. Gorgeous outdoor location! I love how you offer a mix of indoor and outdoor shooting options! Beautiful session! Wow this Edmonton Maternity Photography session turned out amazingly. I love the mix of indoor and outdoor you offer to give your Edmonton expecting moms a different experience for their maternity photos. I think it is so great that the whole family was included in the maternity session! I also love the variety of outdoor photos and studio! Beautiful photography of a beautiful family! They are such an adorable couple and I love how comfortable they look with you as their maternity photographer! Love that you did indoors and outdoors for their session! I can't believe this beautiful mama is on baby number three! I love the mix out outdoor and studio images, and my favorite is the little girl looking at her belly! I bet she will be just as adorable posing with her newborn sibling in the newborn portrait session! What a beautiful Edmonton Maternity session. I love how you were able to get the whole family involved. The kiddos looking at their belly is too sweet! I love the woodsy Edmonton Maternity Photography images. I was thinking about doing my monday maternity session in the forest because there is no green anywhere still and this has given me so much inspiration. Love your work, so beautiful. Such beautiful Edmonton Maternity photos! The shots of the precious family in the beautiful green outdoors are just precious! This is such a beautiful session! You're such a talented Edmonton Maternity Photographer! I absolutely LOVE the outdoor photos, you can really see the love and connection between this family. Can't wait to see those newborn photos! These maternity images are beautiful with your use of light and ability to capture emotion. 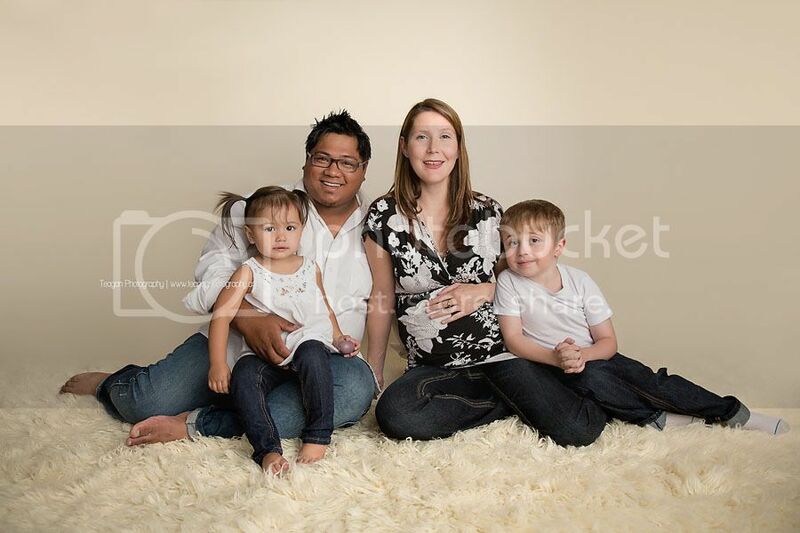 I can't wait to see the newborn session from this soon to be party of 5 from Edmonton. Anyone in Edmonton looking for a newborn and maternity photographer is in perfectly skilled hands with Teagan Photography! These images are so wonderful! They truly do tell a story and show how much love this couple has for eachother.